The case of a cyclist killed while he was training has thrown up details that his family believe necessitate a full public inquiry. Today the Minister for Justice Charlie Flanagan appointed a judge to carry out a scoping exercise into the killing of Shane O’Farrell and the related controversial issues. A judge has been appointed to carry out a “scoping exercise” into the death in very controversial circumstances of a cyclist eight years ago. 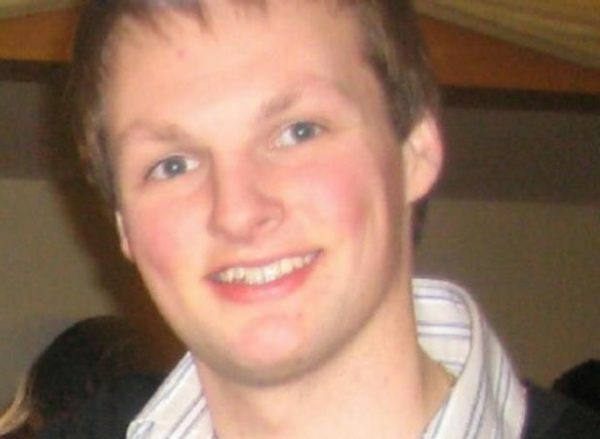 Shane O’Farrell (23), Monaghan, had just finished his final college exams when he was killed. He had competed in triathlon and was killed in a hit and run out training on his bike. Zigimantas Gridzuiska – a 45-year-old from Lithuania but living in Co Monaghan – hit and killed the victim, on August 2nd, 2011, near Carrickmacross. Mr O’Farrell’s family has always argued the criminal justice system made a litany of serious errors in how it dealt with Gridzuiska. They have said he should not have been free at the time he hit and killed Mr O’Farrell. And his mother, Lucia O’Farrell, wants to know what mistakes were made and who was responsible. Now Minister for Justice Charlie Flanagan has asked Judge Gerard Haughton to examine the case. He will look at the investigation by the gardai into Mr O’Farrell’s death. And he will also examine two investigations carried out by the Garda Ombudsman. The ombudsman conducted a criminal investigation into the Garda’s handling of the case after complaints from the O’Farrell family. But it found none of the actions or inactions of the gardai warranted prosecutions. Zigimantas Gridzuiska should have been in jail when he was involved in the hit and run that killed Mr O’Farrell. A judge had said in January, 2011, when the Lithuanian was convicted of theft that if he was in trouble again in the following 12 months he would go to jail. But despite repeatedly being charged with criminal offences and being convicted of some of them in the months that followed, his new crimes were never brought to the attention of the judge who had promised to jail him. Because of that, he remained free and in August, 2011, was even stopped at a Garda checkpoint with no NCT on his car but allowed to continue. About an hour later he crashed into Mr O’Farrell, killing him and leaving the scene. Gridzuiska was later tracked down and convicted of leaving the scene of a crash. However, despite his long criminal record and despite the fact Mr O’Farrell was dead, he was given a suspended sentence in January, 2013. on condition he leave Ireland. 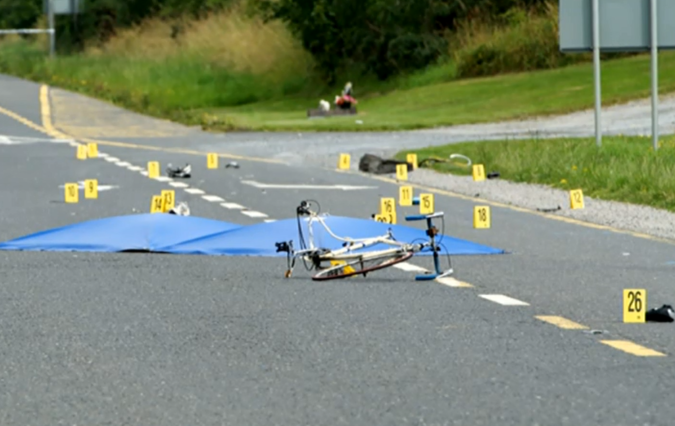 The scene of the hit and run where Shane O’Farrell was killed while he was out training on his bike. The scoping exercise now ordered by Charlie Flanagan will be completed without eight weeks. It will examine of there are still unanswered questions about the Garda and court system’s handling of the case. Specifically it will examine Gridzuiska’s long history of crimes and yet his repeatedly avoiding being jailed. If Judge Haughton believes a public inquiry, as the O’Farrell family has always called for, is warranted he can recommend that at the end of his scoping exercise. Last June the Dáil voted by a large margin in favour of a motion calling for a public inquiry. And this evening the O’Farrell family said the scoping exercise that has been ordered falls far short of the public inquiry the Dáil voted in favour of. Zigimantas Gridzuiska was given a suspended sentence in January, 2013, over his role in the crash that killed Mr O’Farrell 18 months earlier. He was told if he left the country within 21 days he would not have to serve an eight-month jail term, meaning the court suspended the sentence on condition he left Ireland. Even at that point Gridzuiska had 49 previous convictions; for road traffic offences and drug, theft and stolen goods crimes. However, despite being spared jail for the fatal hit and run on condition he left the Republic, he remained on. And he continued to offend. In March, 2013, he appeared in court on three insurance charges, despite having been told previously to leave Ireland within 21 days. He was sentenced to five months in jail by Judge Sean MacBride at Carrickmacross District Court. He had committed fraud in obtaining insurance cover to enable him drive. While Judge McCartan told Gridzuiska the previous month that he must leave the country, he was still in Ireland and still before the courts. Shane O’Farrell’s family now wants a public inquiry into all of the events around how the criminal justice system dealt with Gridzuiska.